To eliminate the scourge of terrorism, we must first know who the enemy actually is, and what his motivations are. In Anatomy of Terror, former FBI special agent and New York Times best-selling author Ali Soufan dissects Osama bin Laden's brand of jihadi terrorism and its major offshoots, revealing how these organizations were formed, how they operate, their strengths, and--crucially--their weaknesses. This riveting account examines the new Islamic radicalism through the stories of its flag-bearers, including a U.S. Air Force colonel who once served Saddam Hussein, a provincial bookworm who declared himself caliph of all Muslims, and bin Laden's own beloved son Hamza, a prime candidate to lead the organization his late father founded. Anatomy of Terror lays bare the psychology and inner workings of al-Qaeda, the Islamic State, and their spawn, and shows how the spread of terror can be stopped. In a thrilling dramatic narrative, Pulitzer Prize-winning reporter Joby Warrick traces how the strain of militant Islam behind ISIS first arose in a remote Jordanian prison and spread with the unwitting aid of two American presidents. Drawing on unique high-level access to CIA and Jordanian sources, Warrick weaves gripping, moment-by-moment operational details with the perspectives of diplomats and spies, generals and heads of state, many of whom foresaw a menace worse than al Qaeda and tried desperately to stop it. 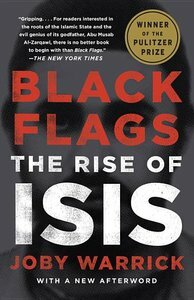 Black Flags is a brilliant and definitive history that reveals the long arc of today's most dangerous extremist threat. Michael Eric Dyson dives deep into the true meaning of Barack Obama's historic presidency and its effects on the changing landscape of race and blackness in America. How has race shaped Obama's identity, career, and presidency? What can we learn from his major race speeches about his approach to racial conflict and the black criticism it provokes? Dyson was granted an exclusive interview with the president for this book, and Obama's own voice shines through. Along with interviews with Eric Holder, Al Sharpton, Maxine Waters, and others, this intimate access provides a unique depth to this engrossing analysis of the nation's first black president, and how race shapes and will shape our understanding of his achievements and failures alike. "Whoever you are, whatever side you're on, if you care about the American west and what's happening to it, read this book." An extraordinary inside look at America's militia movement that shows a country at the crossroads of class, culture, and insurrection. From Mayor Michael Bloomberg and former head of the Sierra Club Carl Pope comes a manifesto on how the benefits of taking action on climate change are concrete, immediate, and immense. They explore climate change solutions that will make the world healthier and more prosperous, aiming to begin a new type of conversation on the issue that will spur bolder action by cities, businesses, and citizens--and even, someday, by Washington. Bloomberg, an entrepreneur and former mayor of New York City, and Pope, a lifelong environmental leader, approach climate change from different perspectives, yet they arrive at similar conclusions. Without agreeing on every point, they share a belief that cities, businesses, and citizens can lead--and win--the battle against climate change, no matter which way the political winds in Washington may shift. CHINA AND THE UNITED STATES ARE HEADING TOWARD A WAR NEITHER WANTS. The reason is Thucydides's Trap, a deadly pattern of structural stress that results when a rising power challenges a ruling one. This phenomenon is as old as history itself. About the Peloponnesian War that devastated ancient Greece, the historian Thucydides explained: "It was the rise of Athens and the fear that this instilled in Sparta that made war inevitable." Over the past 500 years, these conditions have occurred sixteen times. War broke out in twelve of them. Today, as an unstoppable China approaches an immovable America and both Xi Jinping and Donald Trump promise to make their countries "great again," the seventeenth case looks grim. Unless China is willing to scale back its ambitions or Washington can accept becoming number two in the Pacific, a trade conflict, cyberattack, or accident at sea could soon escalate into all-out war. 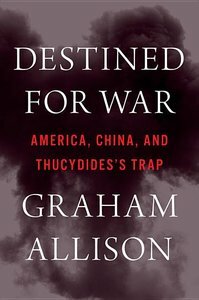 In Destined for War, the eminent Harvard scholar Graham Allison explains why Thucydides's Trap is the best lens for understanding U.S.-China relations in the twenty-first century. Through uncanny historical parallels and war scenarios, he shows how close we are to the unthinkable. Yet, stressing that war is not inevitable, Allison also reveals how clashing powers have kept the peace in the past -- and what painful steps the United States and China must take to avoid disaster today. The transformation of the Middle East is an issue that will absorb-and challenge-the world for generations to come; Dreams and Shadows is the book to read to understand the sweeping political and cultural changes that have occurred in recent decades. Drawing on thirty-five years of reporting in two dozen countries-through wars, revolutions, and uprisings as well as the birth of new democracy movements and a new generation of activists-award-winning journalist and Middle East expert Robin Wright has created a masterpiece of the reporter's art and a work of profound and enduring insight into one of the most confounding areas of the world.